Famous Malta landmarks are the Auberge de Castile, Carmelite Church, Fort St. Elmo, two cathedrals and the Grand Harbour. Other top attractions are Casa Rocca Piccola, Republic Street, Grandmaster's Palace and the Ruins Theatre. The National Archaeology Museum and the National Fine Arts Museum are the top museums to visit in Malta. The Island of Malta is a popular Mediterranean cruise destination. 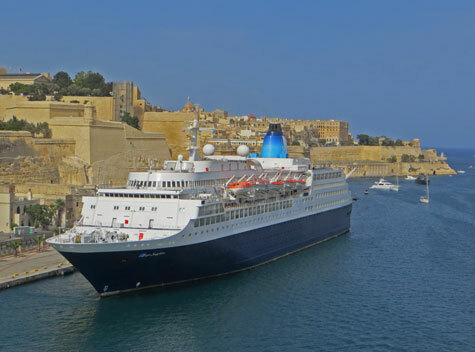 The Valletta Cruiseliner Terminal is conveniently located. Malta operates a network of buses and a ferry service. Most visitors arrive at the Malta International Airport. Hotel accommodation is available in downtown Valletta, near the Malta Airport and at resorts around the island.